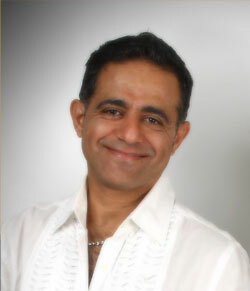 Dr. Soheil Jourabchi graduated from University of Southern California Dental School in 1994. He has been treating both adults and children since then. He is very gentle, caring and has lots of patience with kids. He has been practicing at this office full time since 2002. Dr. Soheil Jourabchi graduado de la Universidad de el Sur de California escuela Dental de 1994. El a estado tratando adultos y niños, es paciente, generoso, cuidadoso con los niños. A estado trabajando tiempo completo en esta oficina desde el 2002 hasta entonces. Are you looking for a reliable cosmetic dentist in Huntington Park? If so, we encourage you to consider our first-rate cosmetic dentistry services here at Dentist Huntington Park. Dr. Soheil Jourabchi, D.D.S., offers a wide variety of cosmetic solutions, ranging from veneers to metal free crowns. As the premier cosmetic dentist in Huntington Park, Dr. Jourabchi has a reputation for providing consistently superior results. We also pride ourselves on the welcoming and stress-free environment that we have created here at our state-of-the-art facility. Patient care means more to us than just high-quality dental services; it means treating the whole person, listening closely to their individual hopes and fears, and providing in-depth information on all possible approaches before settling on the best course of action. We don’t believe in shoving one-size-fits-all, cookie-cutter solutions at our patients. Rather, we value your individuality, and work hard to offer effective methods tailored to your particular aspirations and needs. If you are interested in learning more about Dr. Jourabchi, and what exactly makes him the leading cosmetic dentist in Huntington Park, don’t hesitate to contact our offices directly with any questions or concerns that you might have. We believe strongly in maintaining an open dialogue with our patients, and that close rapport begins with your very first phone call. Welcome to our extended family here at Dentist Huntington Park!